Take a chance and expand your reading universe in October with some wonderful first-time authors. We’re recommending dazzling debut fiction for all ages. There’s also a beautiful dessert cookbook by a celebrity chef usually known for his savory dishes, and a star-studded artsy remake of a 1971 film. You’ll find these new titles by browsing our online catalog or by visiting a neighborhood library location near you. Mistakes (and accidents!) can happen any time. After all, everyone makes mistakes, but sometimes we worry about them. Will everything be all right? In this delightful and funny picture book debut, local author/illustrator Andrea Tsurumi shows us that making a mistake does not have to be the end of the world. 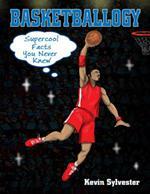 Think you know everything there is to know about the game of basketball? Then you need to check out this book! The author was a radio sportscaster covering the Toronto Raptors games for many years and his love for the game is evident. Besides the usual facts and statistics found in most sports books, this book includes the history of African Americans in the game; the role of women as players, coaches, and team owners; salary caps; shoe styles and more. Don’t miss this! First-time author Stone explores an African-American student's increasingly intense feelings of displacement in his predominantly white high school in a tense story that will grab readers' attention and make them think. By writing letters to the late Dr. Martin Luther King Jr., high school student Justyce McAllister hopes to find some answers and a way to cope with race relations and events in his life that mirror today’s headlines. This dazzling debut about family, home, and grief takes readers into the heart of Hurricane Katrina with the story of the Boisdores, whose roots stretch back nearly to the foundation of New Orleans. 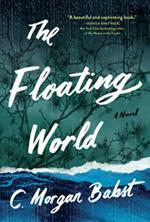 Though the storm is fast approaching the Louisiana coast, Cora, the family's fragile elder daughter, refuses to leave the city, forcing her parents, Joe Boisdore, an artist descended from a freed slave who became one of the city's preeminent furniture makers, and his white 'Uptown' wife, Dr. Tess Eshleman, to evacuate without her. A chain of events results, leaving their marriage in shambles and Cora catatonic—the victim or perpetrator of some violence mysterious even to herself. Yotam Ottolenghi is widely beloved in the food world for his beautiful, inspirational, and award-winning cookbooks, as well as his London deli’s and fine dining restaurant, and his monthly New York Times column. He’s known for his savory and vegetarian dishes but he actually started out his cooking career as a pastry chef. 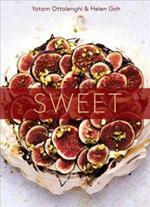 A baker's dream, Sweet features 110 recipes with simple treats alongside recipes for show-stopping confections. 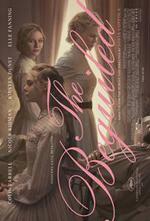 This atmospheric story from acclaimed writer/director Sofia Coppola unfolds during the Civil War at a girls' boarding school in Virginia. The sheltered young women take in a wounded Union soldier. As they provide refuge and tend to his wounds, the house is taken over with sexual tension and dangerous rivalries. 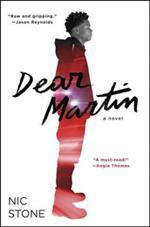 Jealousy and betrayal lead to broken taboos and an unexpected turn of events. Take a chance and expand your reading and viewing universe in October with these suggestions!